The country's first Post Office Savings Bank ATM was inaugurated in Chennai on Thursday by Finance Minister P Chidambaram as part of the government's Rs 4,909 crore IT modernisation scheme for the Department of Posts. india-postAfter launching the ATM service at Thiyagaraya Nagar Head Post Office (HPO), Chidambaram said that Rs 4,909 crore had been allocated for the IT modernisation of Department of Posts in the interim budget for 2014-15. "The IT modernisation scheme is aimed at making Department of Posts a completely technology-oriented one and today's initiative is a step in that regard," he said. 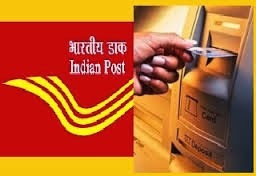 The IT modernisation scheme would cover 1.55 lakh Post offices and would be implemented by next year, he added. Speaking about the newly launched ATM service at the HPO, Chidambaram said that while it will initially operate in a closed environment for about six months, it will later change to 'inter-operability,' on the lines of bank ATMs, allowing customers to withdraw money from any ATM. Mr. Chidambaram said the ATM would run on a trial basis for six months. Afterwards, it would become an interoperable where cards of other banks could be used. Commenting on the future of post offices in the IT era where sending letters and post cards had become a rarity, Mr. Chidambaram said the department was inventing new strategies to keep itself on the growth trajectory. For parcel services, people still preferred the post office, he observed. Secretary of Department of Posts Padmini Gopinath said about 2800 such ATMs would be installed by end of 2015. Sixty-two post offices covering 64 lakh accounts had already migrated to CBS. “Over 26,840 post offices will adopt CBS by 2016. All account holders will be provided with an ATM card,” Ms. Padimini said. She said the department was also toying with the idea of starting e-commerce services in rural areas to improve its earnings.